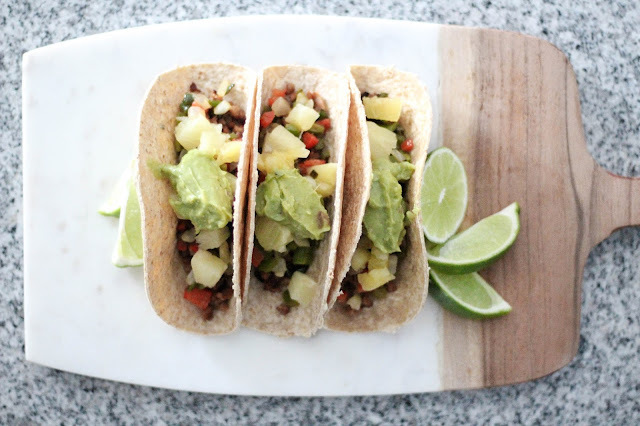 For the last year and a half, I have been trying out new recipes that are vegetarian and vegan friendly. I totally would be a vegan, but I just love cheese and eggs too much! haha! 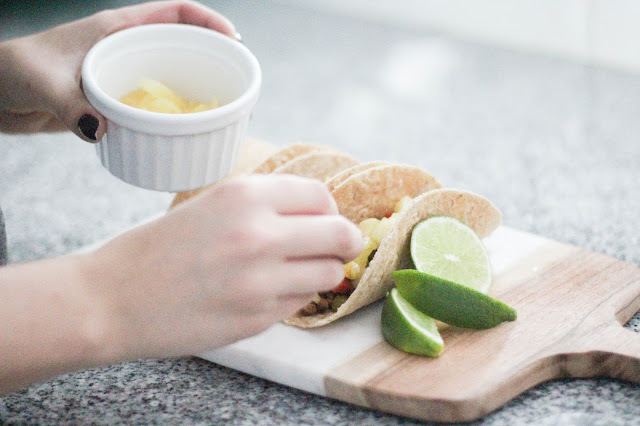 For today's recipe, I'm sharing my go-to taco recipe. It's vegan and even my meat-eating husband will eat it! 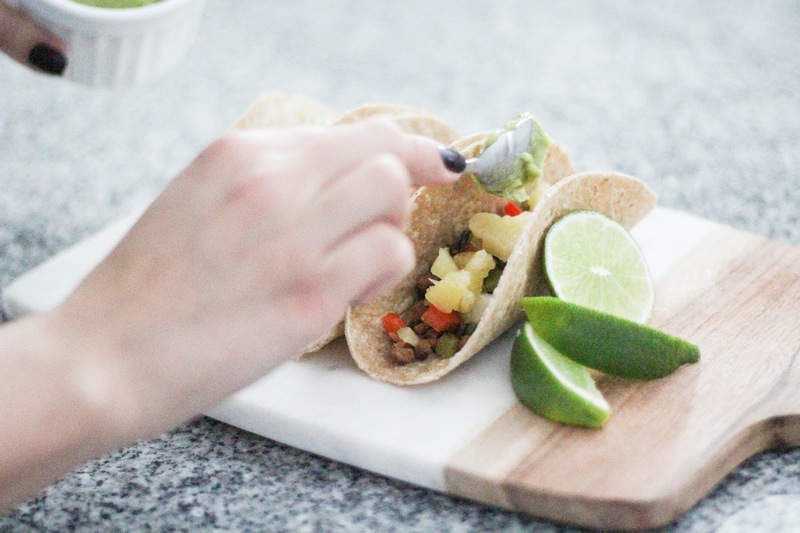 This taco tastes like a tropical paradise and I could eat it in every season. I've also swapped out ingredients like sour cream for guacamole, fattening meat for vegan crumbles, and we are using Mazola® Corn Oil to sauté the veggies instead of olive oil for a taco alternative that's much better for you! 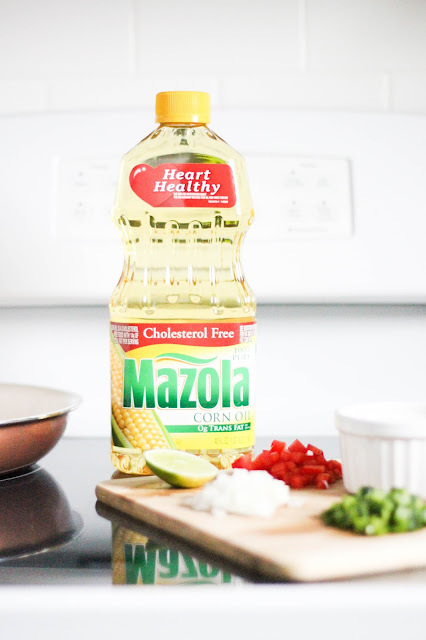 A clinical study showed Mazola Corn Oil reduces cholesterol 2x more than extra virgin olive oil. To learn more about this claim, see Mazola.com. 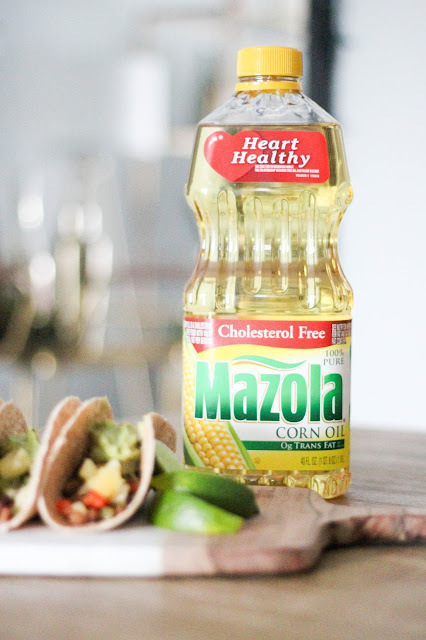 For this recipe, I'm using Mazola® Corn Oil, because its neutral tastes allows the amazing natural flavors of your food to come through and stand out. 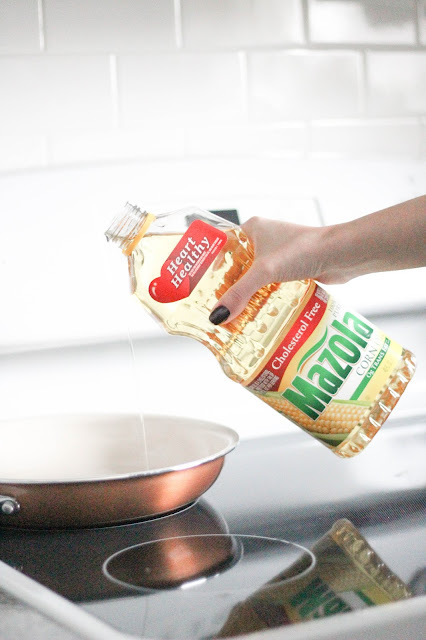 Mazola® cooking oils are made of 100% oil with no additives. They are also cholesterol free and have become a healthful tradition in America. So, in saying all of that, Mazola Corn Oil is a key ingredient to making this recipe. I want my ingredients to taste fresh and bright and Mazola Corn Oil allows just that. One // Pour about 2 tablespoons of corn oil into a frying pan. Turn your stove on medium heat. Two // Chop all of your veggies, then add them all into your frying pan. You should hear a sizzle when your veggies hit the pan. Three // Sauté your veggies for 10-15 minutes. 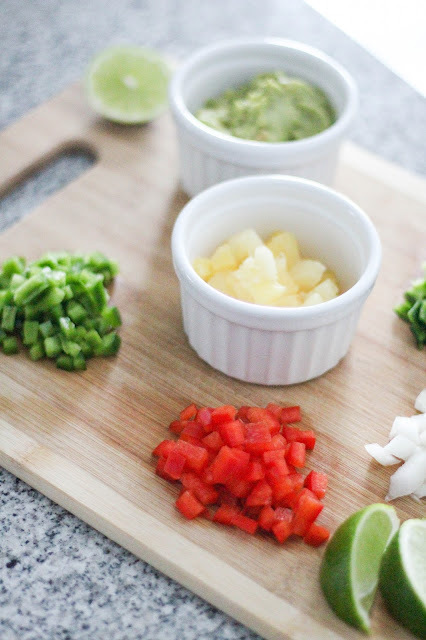 You will let them sauté in the pan while you move onto the next steps. Just be sure to stir them a bit every so often. 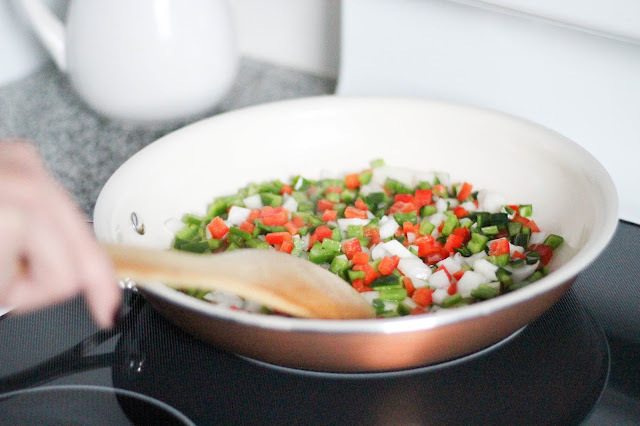 Four // In another small frying pan, add 1 tablespoon of corn oil and turn your burner on medium heat. Add in 2 servings of frozen vegan crumbles and cook for 15 minutes. Stir every so often. 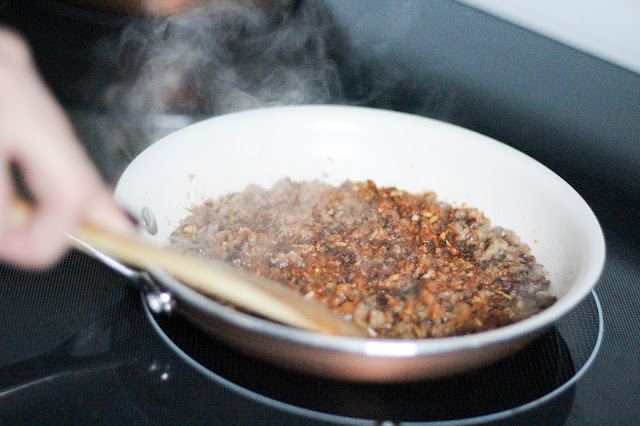 You might have to add in a little extra oil so your crumbles don't burn. Five // Once your vegan crumbles have cooked, add in 1/4 of a packet of taco seasoning. 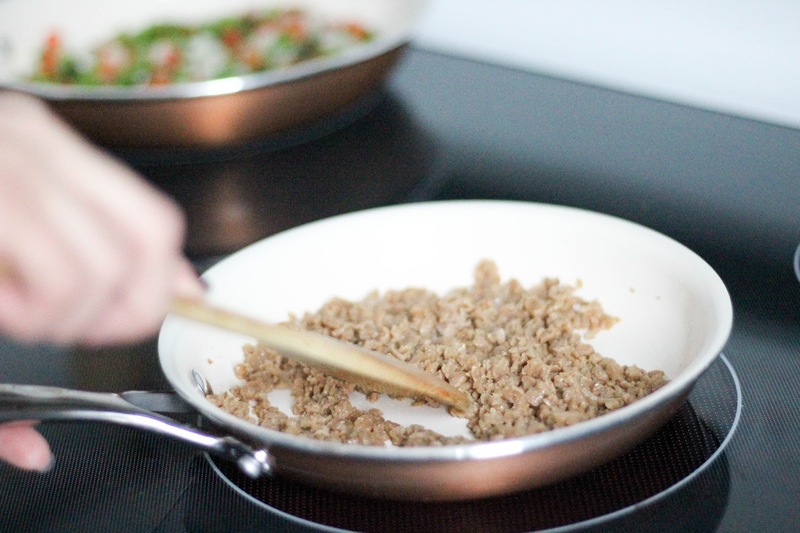 You will also add in about 2 tablespoons of water to your pan. Just be careful you don't splash yourself! At this time, turn off your veggie burner. 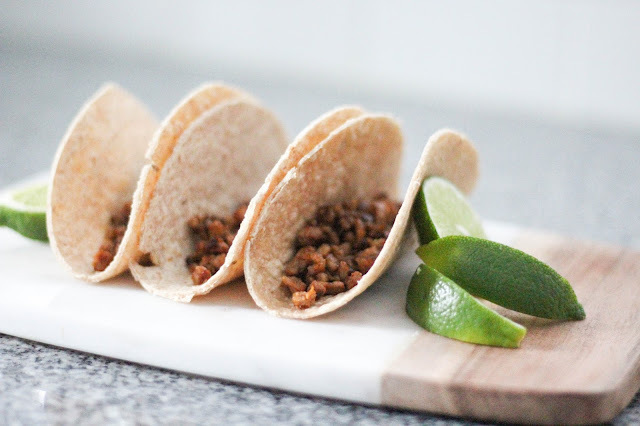 Let your taco seasoning marry with your crumbles on low heat for about 5 minutes. 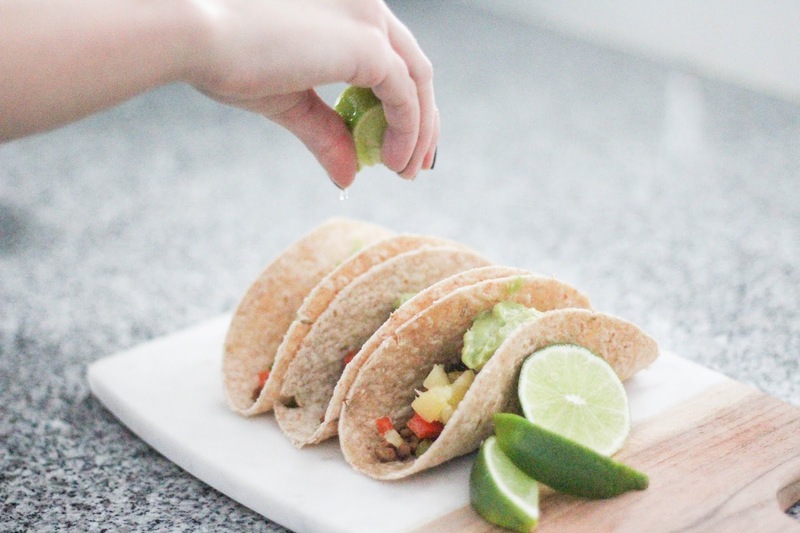 Six // As your crumbles are being infused with the taco seasoning, warm up your whole wheat tortillas in the microwave for 10-15 seconds. Remove your crumbles from the heat. Now it's time to assemble your tacos! 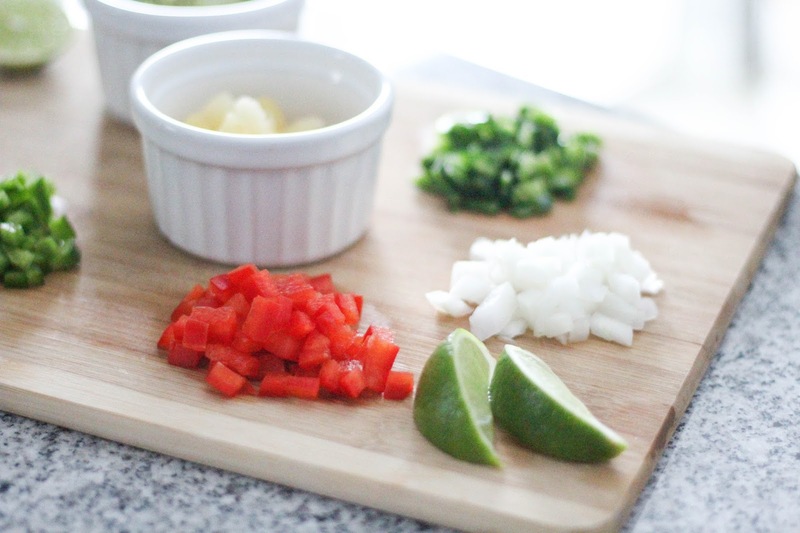 Seven // Start with a layer of your taco seasoning crumbles. Eight // Next, add on a layer of your sautéd veggies. Nine // Open up your can of pineapple chunks. 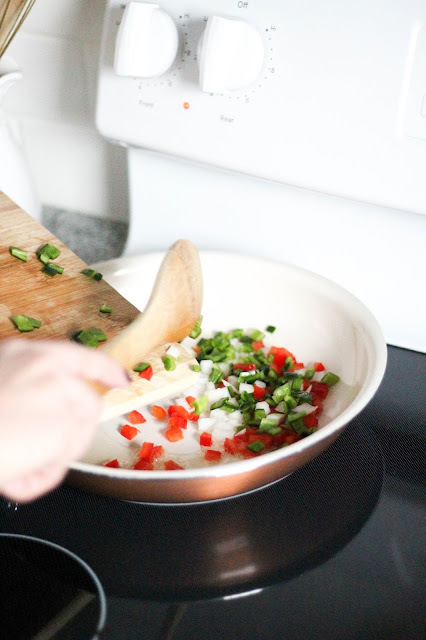 You'll want to chop them into smaller pieces. 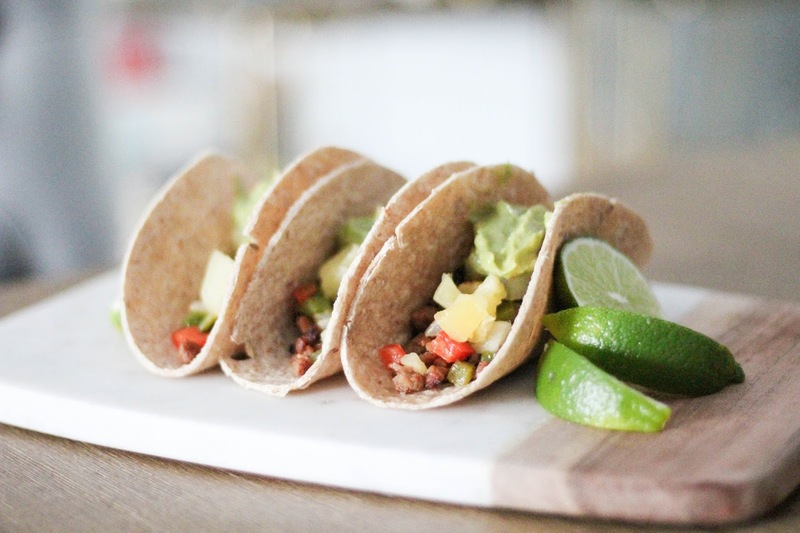 Add them on top of your taco next! Ten // Add a dollop of guacamole in the center of your taco. 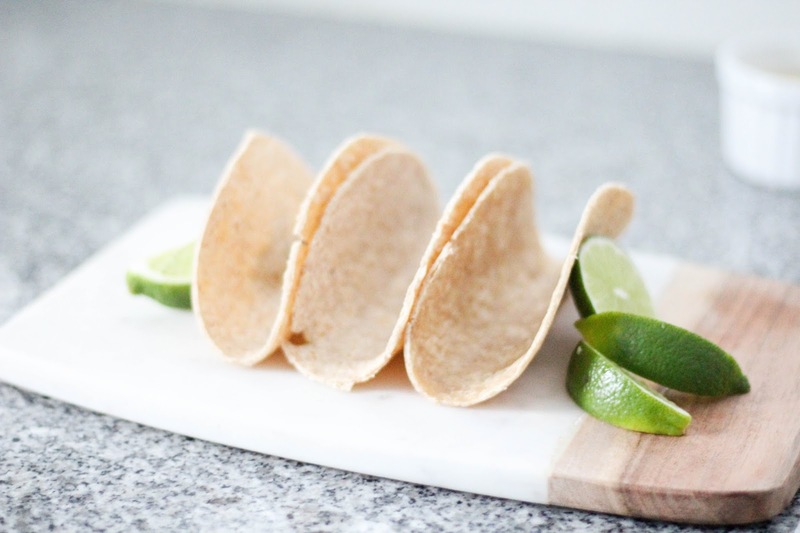 Squeeze a wedge of lime over each taco. There ya have it--delish vegan tropical tacos that everyone will be sure to love! 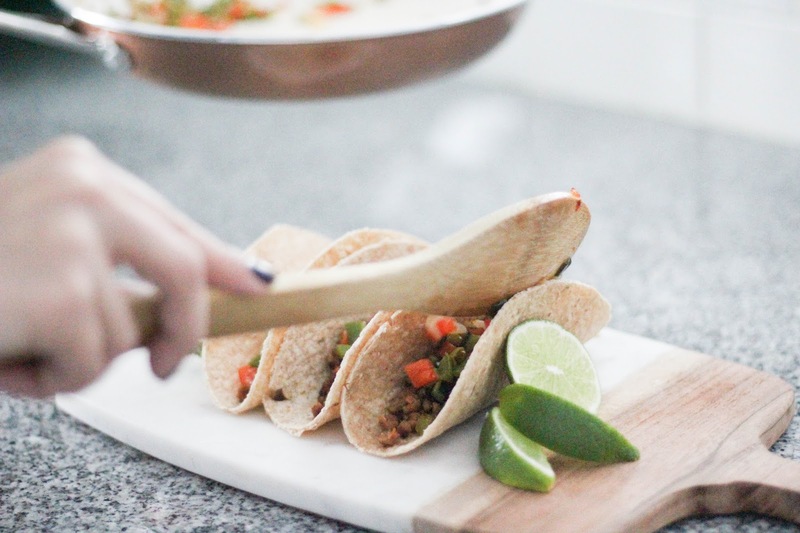 It's so super simple to make and you'll have lunch or dinner on the table in under 30 minutes. I'd love to know if you ever make this recipe and what you think. I hope you love it as much as I do!